Thank you for sharing your time and expertise! You can! 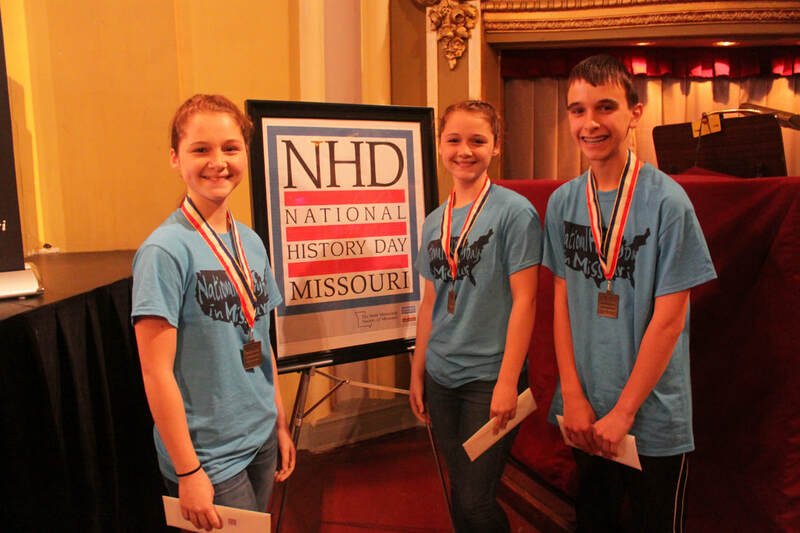 National History Day in Missouri is looking for educators, historians, writers, filmmakers, museum staff, and community members to join us at this year's state contest to judge student projects. We also welcome graduate students and select undergraduates to our judging teams. Check out this quick video to learn more about being a judge, what to expect on contest day, and how to prepare for judging/interviewing students. The state contest will be held on April 27, 2019 at the University of Missouri-Columbia. To thank you for your essential participation in National History Day in Missouri 2019, we will provide a light breakfast, lunch, and a travel stipend of up to $50 for those whose round trip mileage exceeds 75 miles. Coming to town on Friday or staying through Saturday? Check out NHD hotels. Morning judging begins with orientation, Lakota coffee, and a light breakfast at 8:00 a.m. in Ellis Library Auditorium and ends at approximately 11:30 a.m. Afternoon judging begins at 1 p.m. and ends at approximately 3:00 p.m. At orientation, we will go over judging details, answer questions, and you will get to meet your fellow judges! As a judge, you will meet top students from around the state and see the creative ways they present their research findings: through documentaries, exhibits, papers, performances, and websites. We deeply appreciate your time and the thoughtful feedback that you provide to Missouri students. Thank you for your service! See what being a judge looks like! "What impressed me most about these young students was their combination of history knowledge and personal initiative"
"I absolutely loved meeting the kids and look forward to judging again next year!" Are you judging the preliminary round? Judging begins at 9 a.m. (after orientation) and concludes at approximately 11:30 a.m. Judging for both the Junior Division (grades 6-8) and the Senior Division (grades 9-12) occurs at the same time. You can choose which division and category you are interested in judging, and you will be paired with at least one other judge, so you can review entries and interview students together. Each judging team evaluates approximately nine entries, choosing the top two or three to advance to finals. Are you judging the final round? The final round runs from 1 p.m. to approximately 3:00 p.m. If you are judging finals, you do not interview the students: their work must stand alone. After reviewing these top entries, you decide who will represent the Show-Me state at the National History Day contest in the D.C. area. Are you judging websites or papers in either round? Preliminary Round: When you sign up to judge websites or papers, you will be paired with a judging partner and introduced via email. Each team will receive a third of the websites or papers (about nine) approximately three weeks before the contest. You will decide, through consensus, on the top two entries in your group and email nhdmo@shsmo.org. These entries will be slotted to advance to finals. However, on contest day, preliminary round judges will have the opportunity to interview each student whose entry they judged. If, based on the interview, your ranking should change, final round judges will be notified. Final Round: Final round judges will receive all six of the finalists approximately one week before the state contest. On contest day, final round judges will see if the preliminary round interviews resulted in any changes to the group of finalists. Then they will decide, through consensus, on the final ranking of the entries and determine who will advance to the Kenneth E. Behring National History Day contest to represent the Show-Me state. Yes, you can judge websites! Students develop their websites through a specially designed National History Day web portal: NHD Weebly. They can compete as individuals or in groups. The students submit their URLs for these sites as part of the registration process, so judges will be able to access the sites online prior to contest day. The NHD rules require that the websites contain process papers and annotated bibliographies, so there will be no physical paperwork at all. No technical or html knowledge is necessary to judge this category. Watch a quick video about judging for NHD! Make your hotel reservations EARLY . . . Columbia hotels are busy in the spring! ​Mention NHDMO when you make your reservation. Head to the MU parking garages on Hitt, University, Virginia, Conley, and Turner Avenues. These are FREE on Saturdays! You may also park on campus lots on Saturdays, except at residence halls. Please note that Columbia does enforce metered parking on Saturday, so if you want to park in a metered zone, bring quarters! There are numerous restaurant choices close to the University of Missouri campus. Explore the options in the District here. Additionally, there are some on-campus dining options at the MU Student Center and Memorial Student Union. Check their Saturday hours for availability.